8. If your consent is violated or you experience a consent injury, verbally tell a Director, event organizer, or clearly marked delegate. There is a procedure in place to help you. If you are unable to do so, inform the Directors by phone or email as soon as possible. It is your right to report what happened to you and to ask for support. 9. 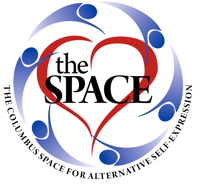 Violation of the consent policy may result in expulsion from the event and/or temporary or permanent ban from The Columbus Space events or activities. There are procedures in place to handle violation of this policy and those procedures will be followed by all volunteers, staff, and delegates. No one is exempt from the policy. 10. Disclaimer: Every reasonable effort will be made to enforce this policy, but The Columbus Space does not make representations or guarantees about its ability to do so. Each situation is distinct and will be reviewed on a case by case basis. All participants and attendees retain full, sole responsibility for their safety and the safety of others with whom they interact. Request a member of the staff to help you find a Columbus Space Director. Email Directors@ColumbusSpace.com This email is monitored by Directors, and will be assigned depending on whomever is the appropriate person for each instance.